In this fourth article, Magali An presents Chose Commune, a Paris-based small-scale publishing house dedicated to high quality photography books. Following the success of their first release Piémanson in 2014, the founders Cécile POIMBOEUF-KOIZUMI and Vasantha YOGANANTHAN—dynamic self-starters in the publishing world—agreed to share their thoughts about photography and to tell Culture 360 about their upcoming projects. Chose Commune (Common Thing) is the brainchild of 2 photography aficionados with complementary profiles and skills: Cécile POIMBOEUF-KOIZUMI and Vasantha YOGANANTHAN. French-Japanese Cecile POIMBOEUF-KOIZUMI is 28 years old. In 2008 she discovered the Japanese photographer Shoji UEDA at his exhibition at la Maison Européenne de la Photographie (European House of Photography). She thus decided to focus her Masters dissertation on his work, and interned the following year at the Photography Museum of Tokyo. After a rich experience in an array of photography institutions, galleries and agencies, she is now working at the gallery Sage Paris in addition to her role in Chose Commune. 30 year old Franco-Tamil, Vasantha YOGANANTHAN grew up in Grenoble, France and first started in journalism. He discovered the beach of Piémanson near Marseille in 2009 and developed a photographic documentary work until 2013. He worked for five years as art director in a photo agency, and became a full-time photographer in 2013. The duo also invited Jerome MONTAGNE (web designer) and Julia MCLAREN (translator) to join them in this publishing adventure. Magali An BERTHON: How did the project Chose Commune start ? Cécile POIMBOEUF-KOIZUMI: Vasantha YOGANANTHAN was looking for a publisher for his work about Piémanson. The majority of them asked for outrageous amounts of money. Since he already had a pretty clear idea of his final project, he decided to do it himself. He also wanted to highlight other photographers. Thus rather than turning solely to self-publishing, he considered opening a structure with me. I saw this as an opportunity to embark on an editorial adventure. It started in 2013 with no long-term plans. 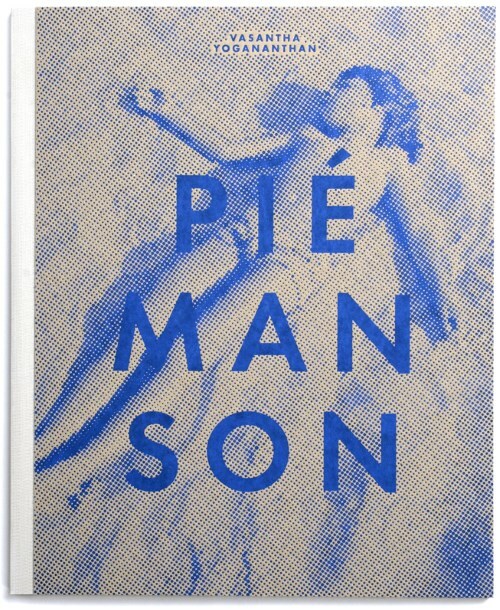 Following the encouraging success Piémanson - which sold out in two months -Chose Commune has moved forward. MB: Your company is a photography publishing house open to photographers from all over the world, and particularly from Asia. What drives your creative choices? CP-K and Vasantha YOGANANTHAN: We both grew up in multicultural environments, which can explain Chose Commune’s open-minded spirit. We are not centered on one continent in particular. What motivates us above all is to bring different cultures together. Our choices are very personal. We aim to publish both emerging talents and more well-known figures- in this case focusing on their unpublished work. When we are solicited, we look carefully at each proposal we receive. MB: Your project fits in the recent revival of the photography publishing, with independent libraries such as LO/A in Paris and the boom of low-investment artistic fanzines. What more can you offer than big traditional publishing companies? CP-K + VY: In recent years, the offer has only increased: self-published books, new publishing houses and bookstores. It all brings a lot of creativity: many books now present a neater and more elaborate design. If there is undoubtedly a market for the photography books, it is still a niche. Finding a sustainable business model is not easy, because it is increasingly difficult to take risks. That is why most of the publishers prefer the artists to the self-finance their books. We want to avoid this practice. This is also why we prefer to publish sparingly. For each book, we combine a mix of grants, Chose Commune’s funds and possibly a contribution from the artist. We take our time, both to find the necessary money and to develop projects we believe in. It is essential to support artists during the publishing process. We sometimes exchange up to several months with certain photographers without even setting up a release date. MB: What kind of photography are you interested in ? The projects we support at Chose Commune are on the edge of reality and fiction. It balances between pure documentary and conceptual photography. We will not release more than two or three books a year. We would rather publish sparsely with works that will last in time. We have a monographic volume in 3 languages about Japanese photographer Shoji UEDA coming up this October. On this occasion, we invited the writer Toshiyuki HORIE (Yukinuma and Its Environs, The Bear And The Paving Stone) to write an original novel for the book. Currently there is no monograph of UEDA released in Western countries, just a few exhibition catalogs and a pocket edition. Next year, we will release the first issue of a 7 book series about YOGANANTHAN’s new project focused on the Ramayana myth in India.